Product manufactured through the most advanced of puriﬁcation techniques: As the extraction and concentration techniques traditionally used in maximizing the content of triterpenoids have already reached their threshold limit, a state-of-the-art purification technique is now adopted, making it possible to produce a new generation formula with a 6-fold increase in the content of triterpenoids. It is worth pointing out that this purification technique is only popular among pharmaceutical firms boasting ample financial resources and equipped with the advanced facilities required. 6-fold increase in triterpenoids content: Triterpenoids, a special group of nutritive substance found in Lingzhi, is also the very component that determines the efficacy of a Lingzhi species. Through numerous animal tests, it has been discovered that triterpenoids are helpful in reinforcing our immune functions, militating cancer growth, as well as improving the conditions of liver fibrosis, allergies, and various health problems. The need of patients suffering from critical illness: In particular, the findings have also revealed that patients with critical illness would benefit most from triterpenoids only if they are made available in large quantities. 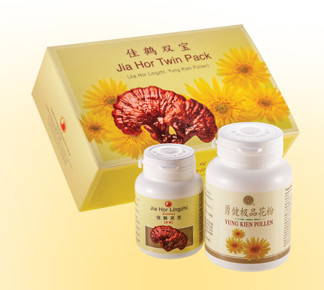 In this respect, the total amount of triterpenoids, available in the form of 9 types of ganoderic acids (ganoderic acids A, B, C, etc), is 6 times higher in the second generation of Yung Kien Ganoderma compared with the original version. Therefore, it comes as a convenient alternative to those who face difficulty and inconvenience in swallowing the capsules in such large numbers. “Yung Kien Ganoderma 2 is exclusively intended for people who are unable to consume large doses (more than 20 capsules a day) and those in need of large amounts of ganoderic acids. It is also extremely beneficial for patients suffering from autoimmune diseases, such as asthma, allergies, lupus erythematosus, rheumatoid arthritis, myasthenia gravis, psoriasis, etc. This second generation product is remarkably helpful as well for people who suffer from viral hepatitis, liver fibrosis, cancer, AIDS, and so on. 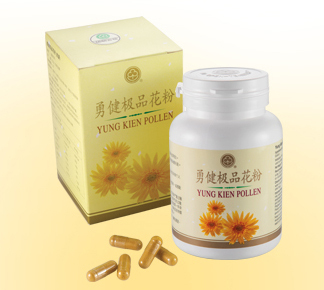 In other words, Yung Kien Ganoderma 2 is only recommended for patients who have specific needs. As for ordinary consumers who merely look for everyday health maintenance, the consumption of Yung Kien Ganoderma is already good enough. “In spite of the fact that Shuang Hor Group is destined to own patent rights for its core technologies and has emerged as a leading force to be reckoned with in the marketing of Lingzhi products, our quest in Lingzhi R & D will remain relentless. 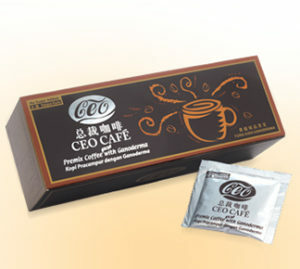 In Malaysia and Singapore, the product is known as Yung Kien Ganoderma. Ganoderma is the scientific name for Lingzhi. 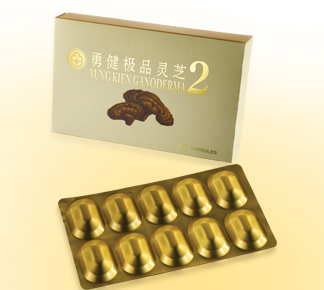 The born of Yung Kien Ganoderma 2 mainly for serving customers who have specific needs, with many of them having to consume large doses of the first generation Yung Kien Ganoderma in order to see its health improvement results. As researches shown, there are many people having difficulty in swallowing, the need to gulp down 10 to 20 capsules a day can indeed prove to be a daunting experience. That is exactly the reason why many patients discontinued with its consumption, leading to the loss of opportunity in improving health or even saving lives. It was under this background that BTRI began its R & D drive 5 years ago with the objective of substantially reducing the consumption amounts and yet maintaining the efficacy of our Lingzhi health food. For patients of critical diseases, triterpenoids as an effective constituent of Lingzhi offer remarkable curative benefits. As such, we were inspired to work on bringing about a compositional realignment of this effective constituent in the product. 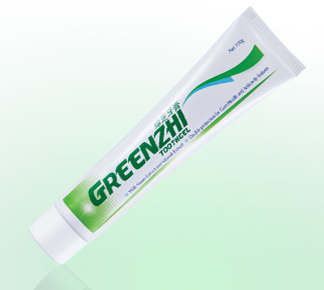 Prevents hardening of blood vessels – elasticity of blood vessels becomes compromised when there is too much fat and cholesterol in the blood, this also causes high blood pressure. 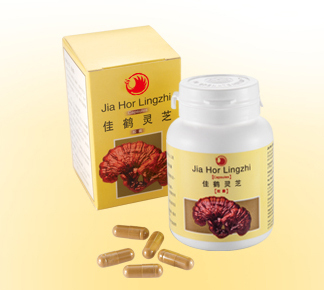 Lingzhi is very effective in lowering the blood pressure and ensuring the blood vessels remain elastic. The best results were shown in high blood pressure patients who consumed higher doses of lingzhi for minimum of 6 months.